Top Using Skype on Cafetalk	What is a Skype Name? What is a Skype Name? 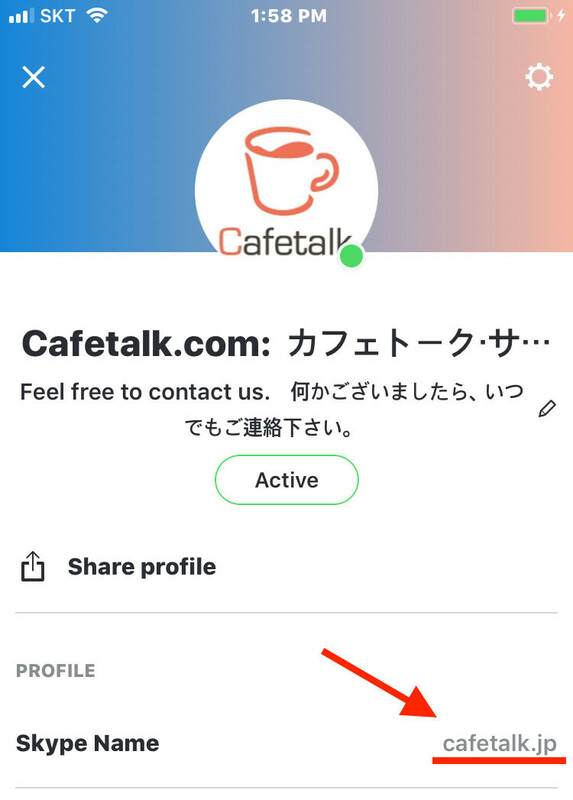 Please make sure to enter your Skype name (ID) in your Cafetalk profile so that the tutor will be able to find you on Skype before you take a lesson on Cafetalk. 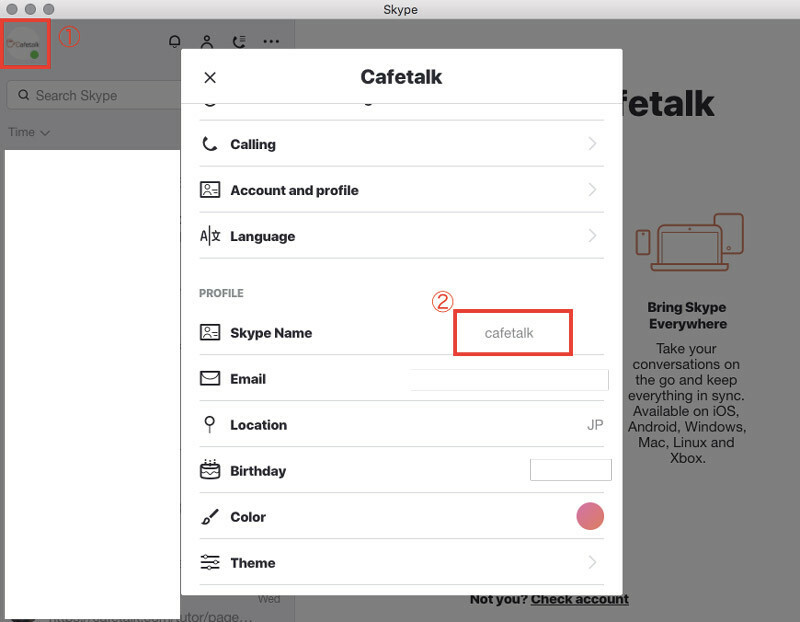 If you misspell the Skype name (ID), Skype will not be able to retrieve it and it may be difficult to proceed with the lesson. Please log into the Skype official website. On your account information page, please click Account settings on the left side. Your Skype name is displayed on the next page. If the Skype name (ID) is live: ******* or facebook: *******, all parts including live: or facebook: belong to the Skype name (ID). Please start Skype. If you click your user image (1) in the top left corner, you will see you profile. You can find your Skype name (ID) (2) here. If the Skype name (ID) is live: ******* or facebook: *******, all parts including live: or facebook: belong to the Skype name (ID). 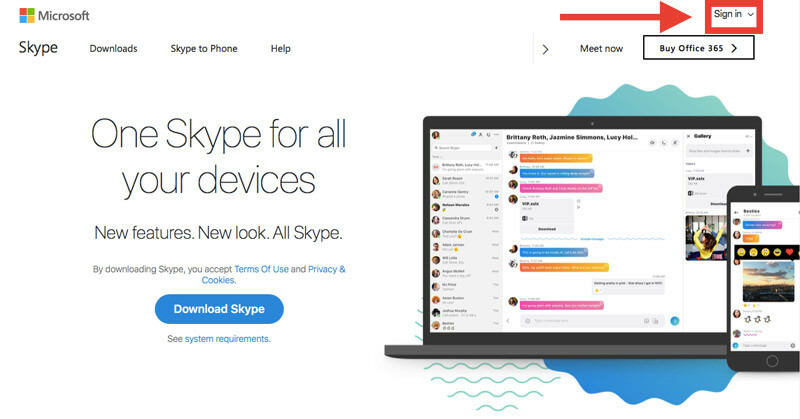 1) Start the Skype app and log in. 2) Select the profile image at the top. Please click on the profile image at the top after logging into Skype. 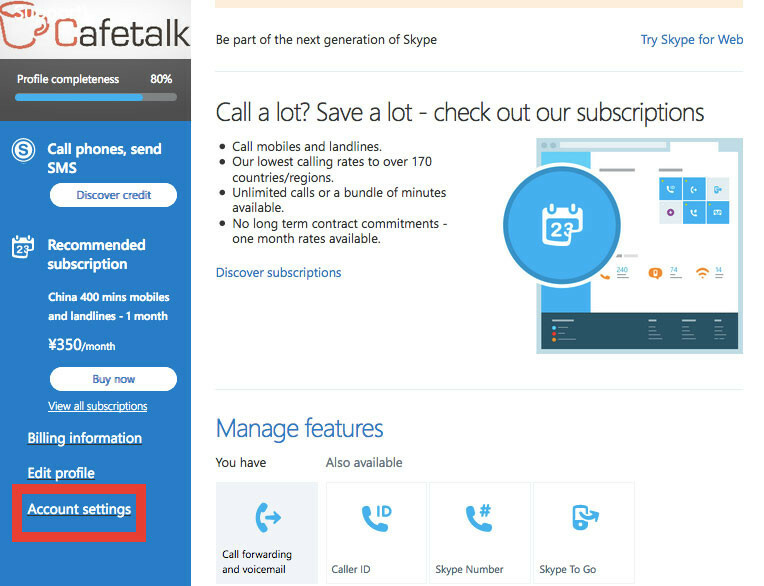 3) You can check the Skype name (ID) from the Skype name item. You can find the Skype name on the Settings screen. If the Skype name (ID) is live: ******* or facebook: *******, all parts including live: or facebook: belong to the Skype name (ID).